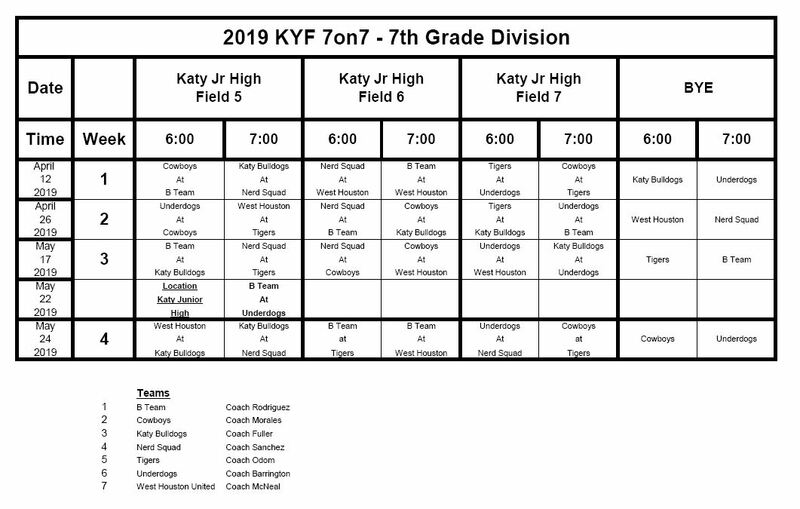 Katy Youth Football® extends a big thank you to our loyal supporters, and to all those who registered for our 2019 Spring 7on7 football season. 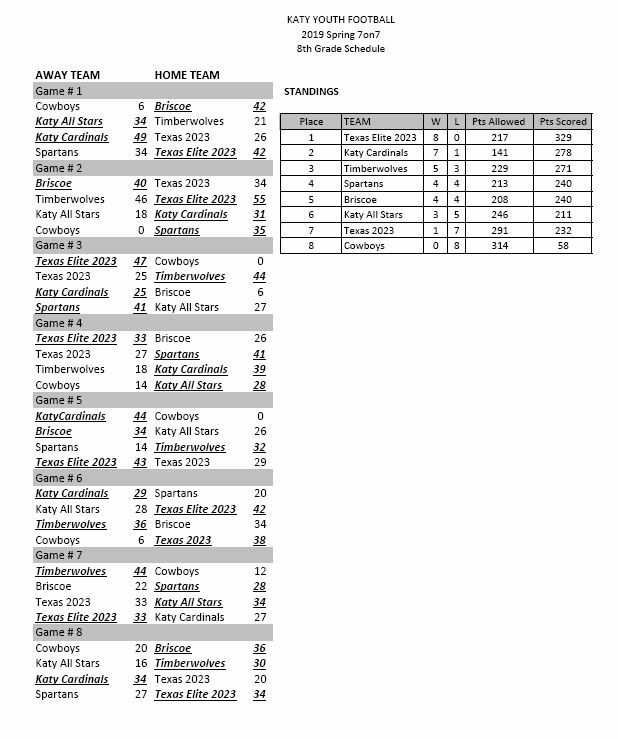 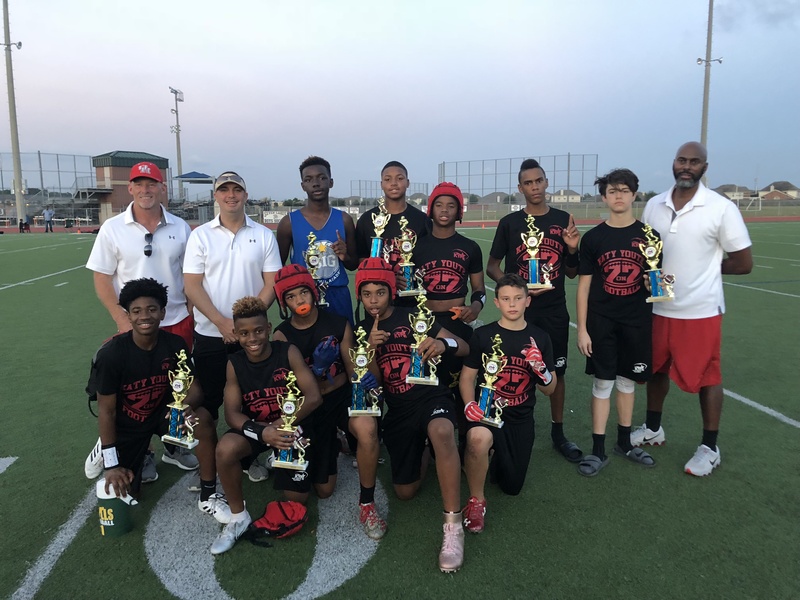 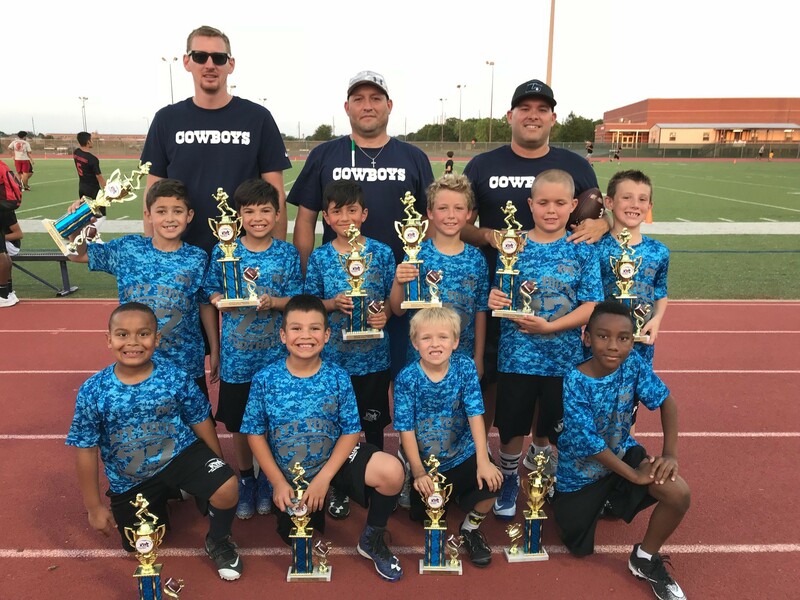 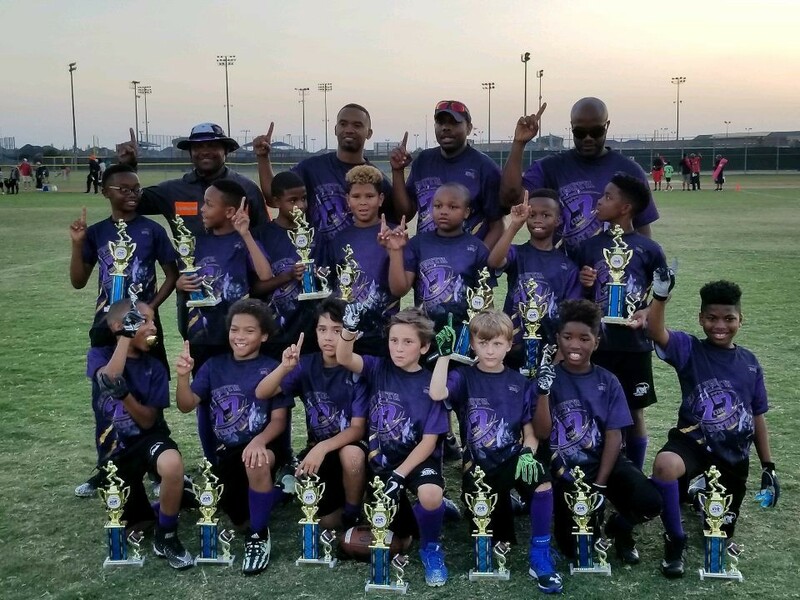 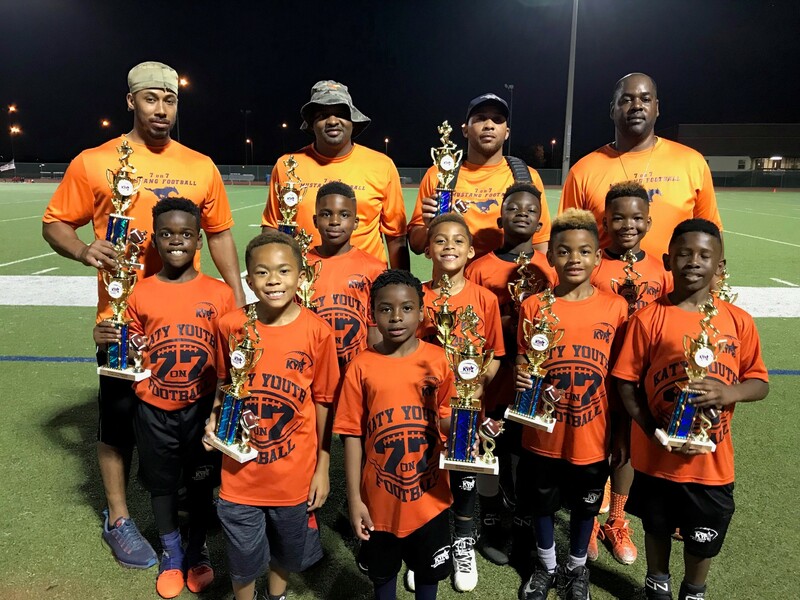 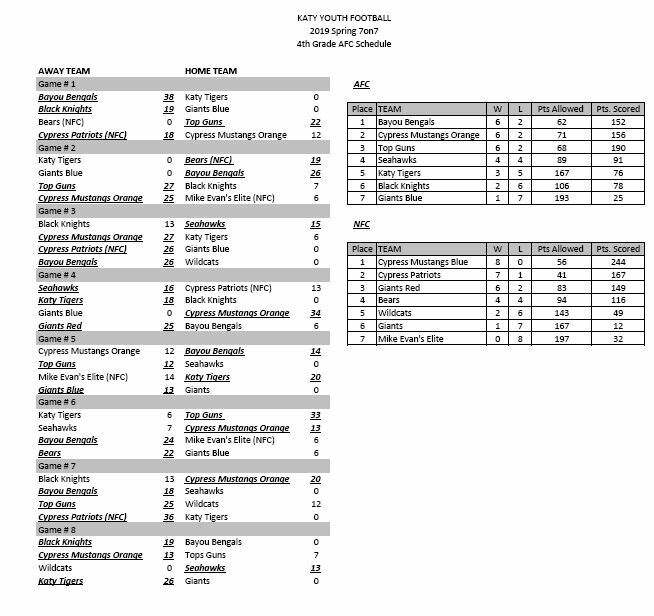 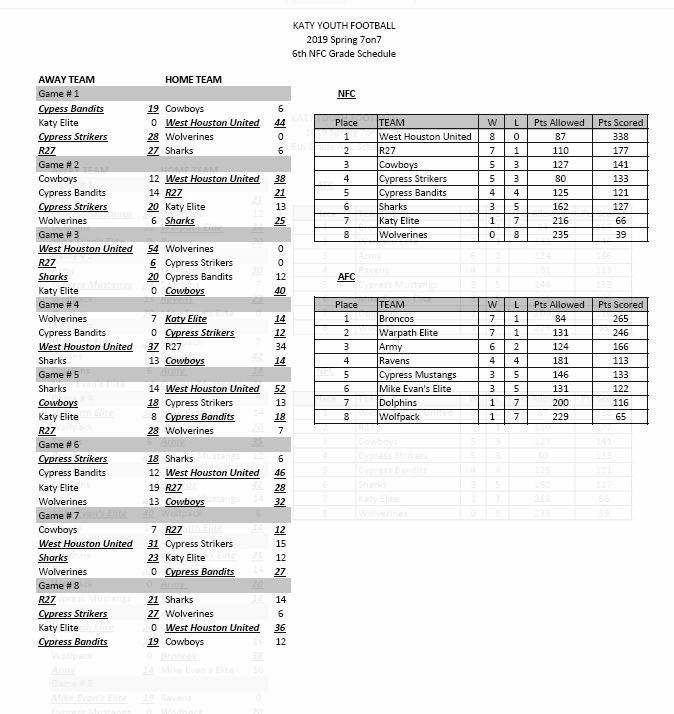 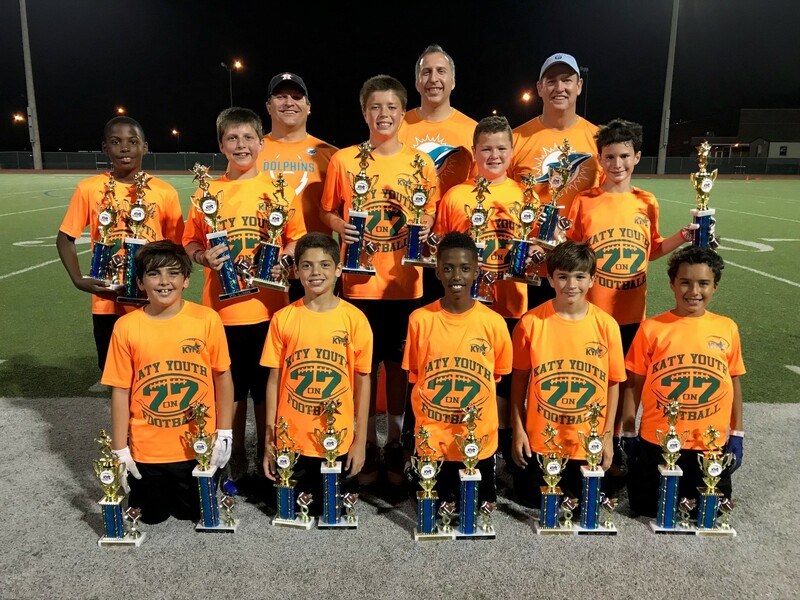 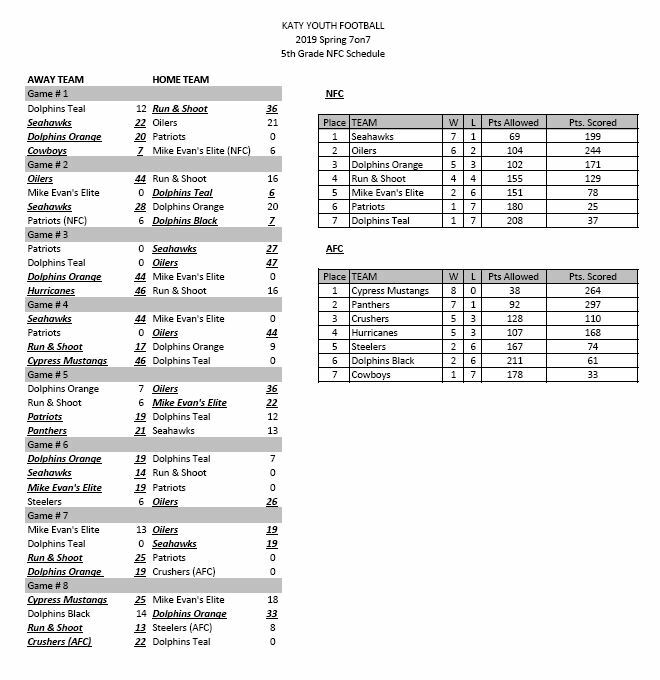 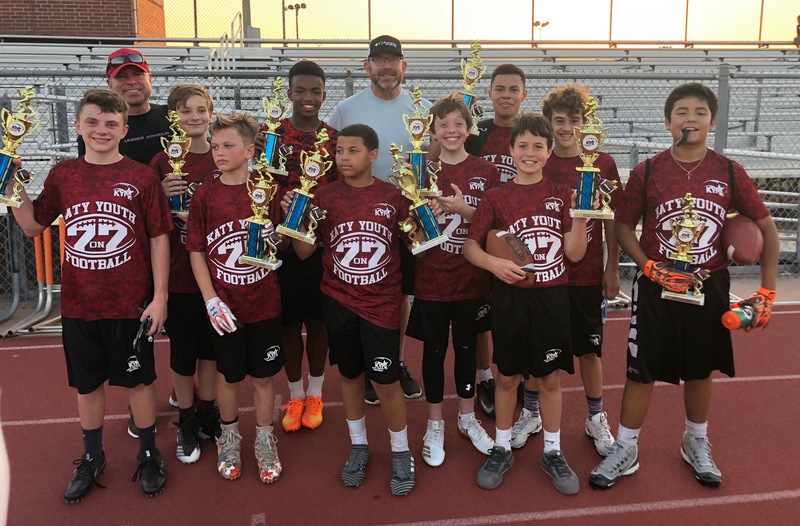 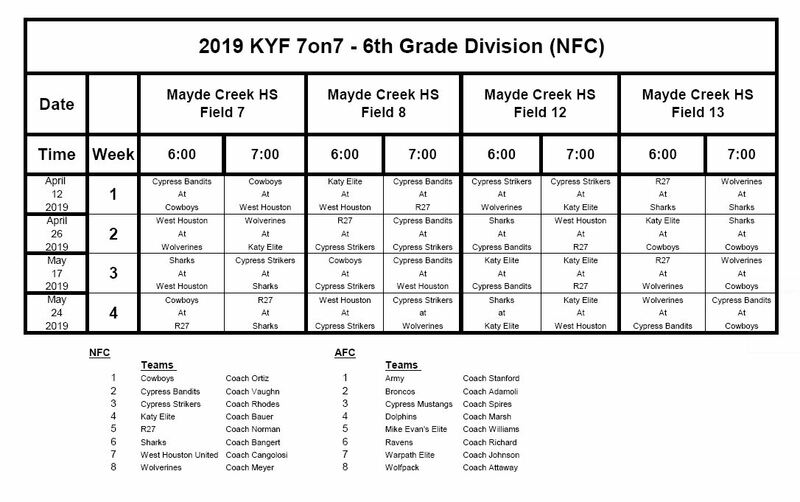 KYF® is proud to hold the reigns as the premier youth football organization in Katy, Texas; and proud to be recognized as one of the top leagues in the country! 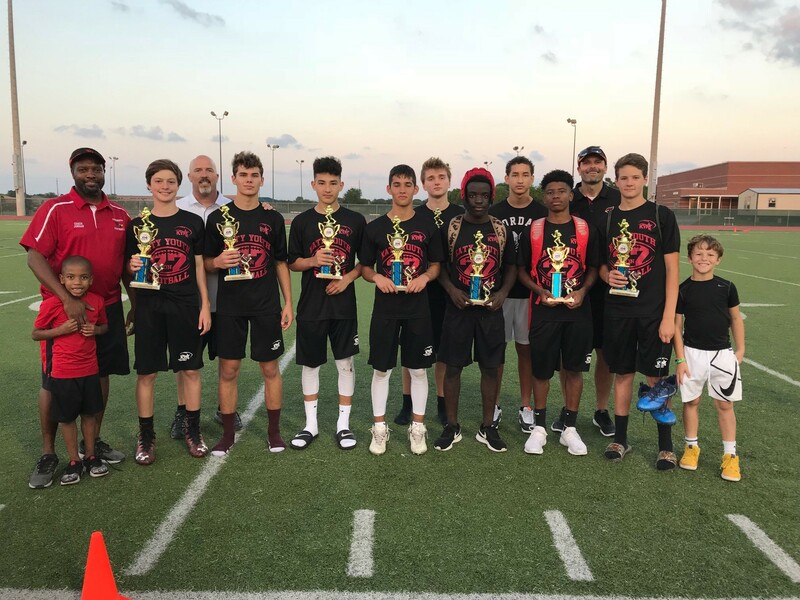 Thanks to you we are one of the largest 7on7 programs in the State of Texas. 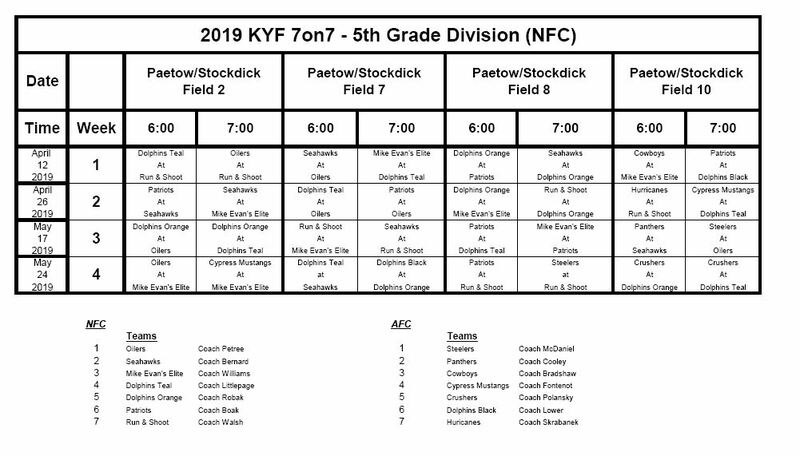 KYF® is proud to have the continued support of our community and a solid reputation for professionalism, player safety and sportsmanship. 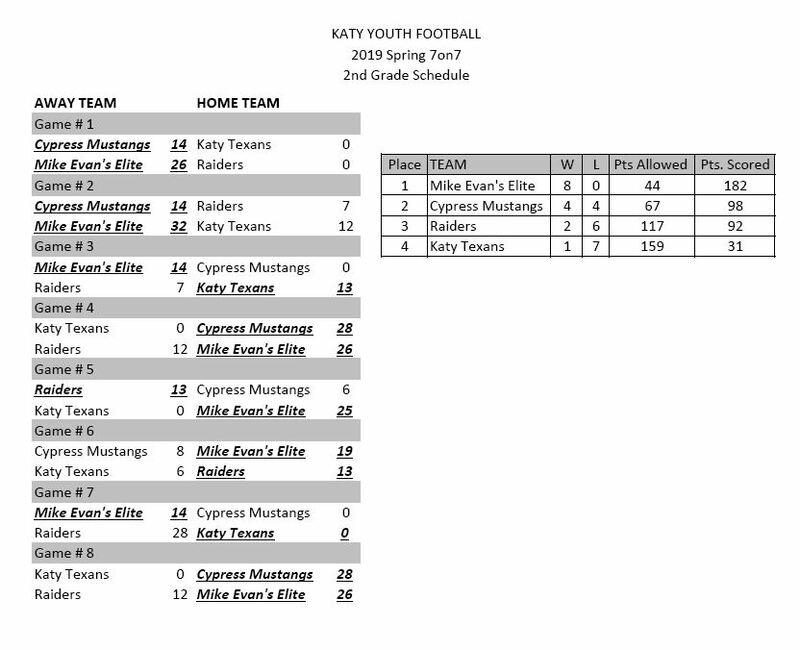 KYF® values player safety and stands to unite children and families through football and cheer. 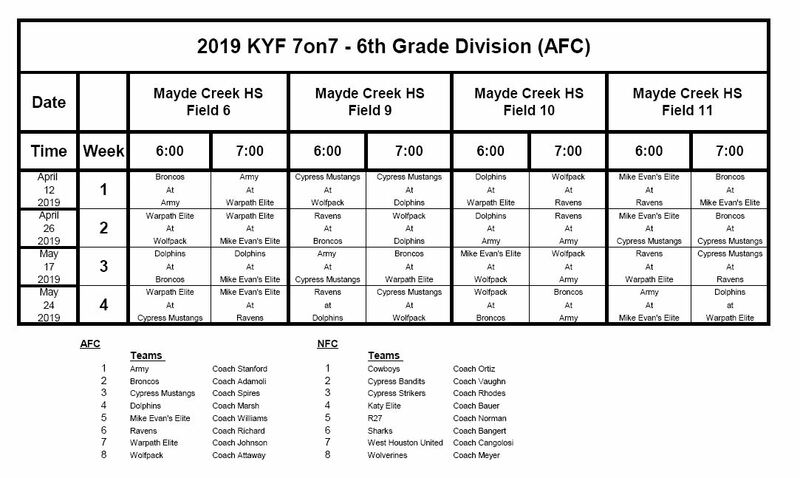 We are proud to say this is our largest 7on7 season ever. 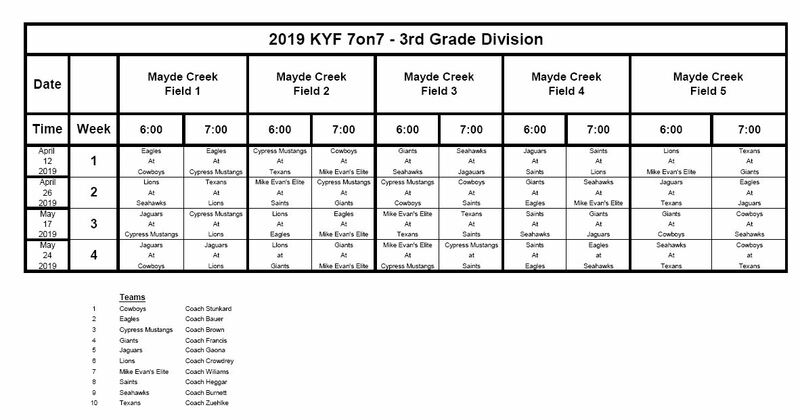 Thank you for registering with KYF®, and we hope you have a great experience this season! 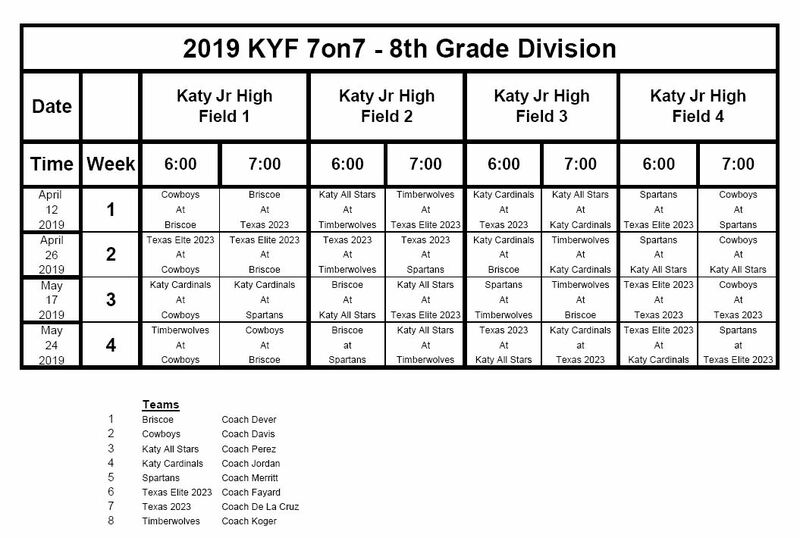 Please see below for the final 2019 Game Schedules. 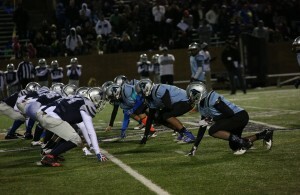 Due to the size of our program games will need to be played at three different campuses. 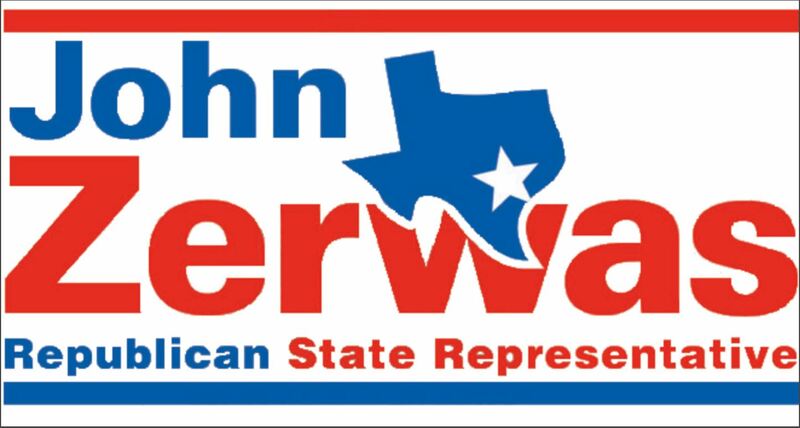 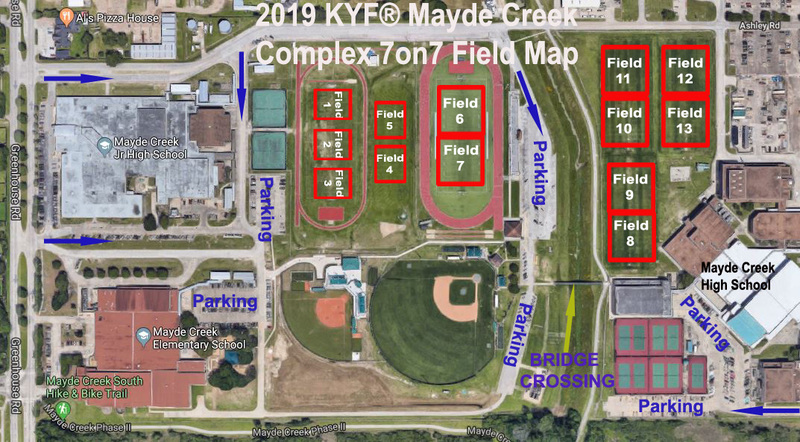 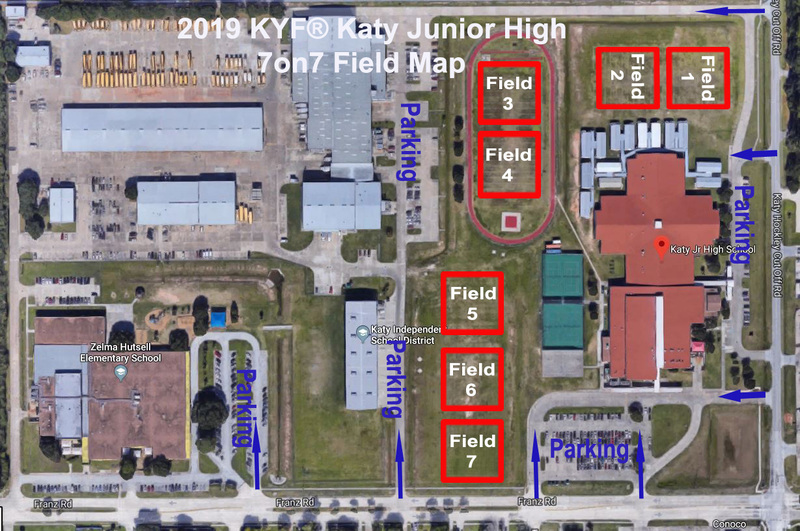 16 fields will be located at the Paetow/Stockdick Complex, 13 fields will be located at the Mayde Creek Complex and 7 fields will be located at Katy Junior High. 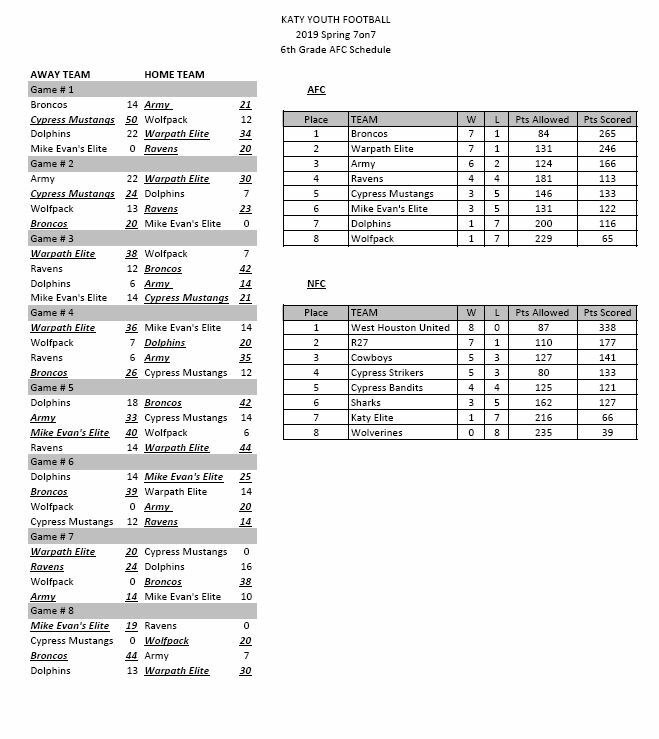 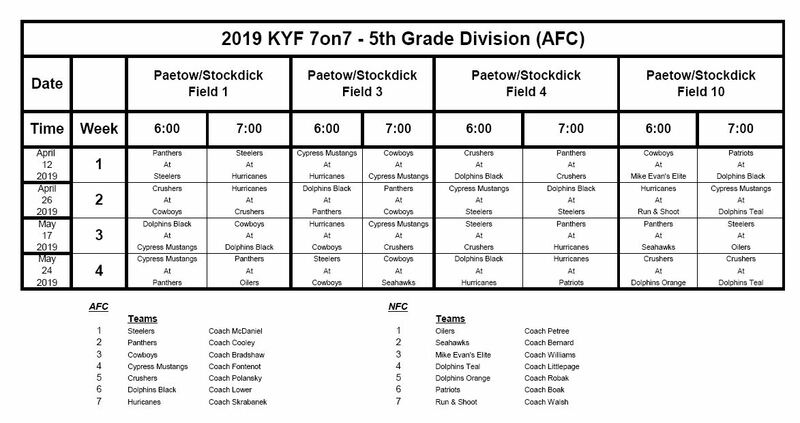 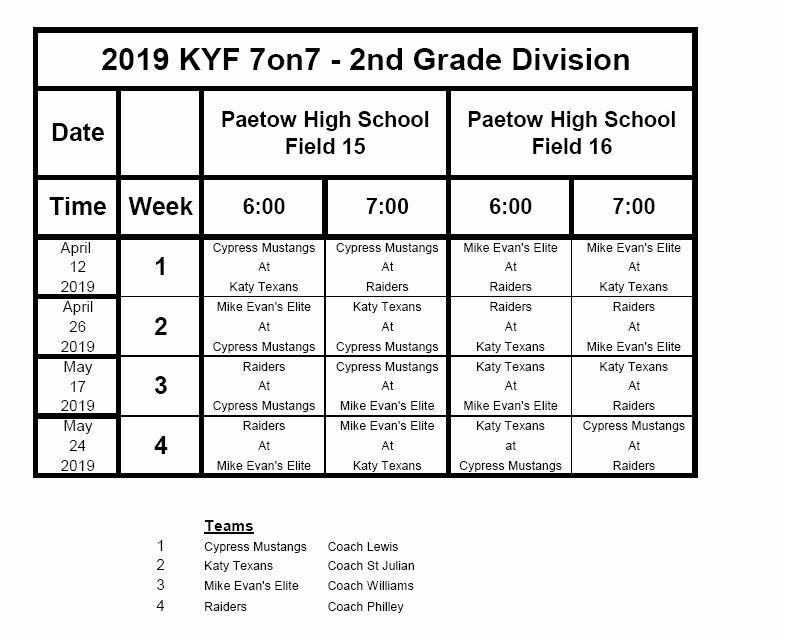 Grades 2nd, 4th and 5th will play games at Paetow/Stockdick, grades 3rd and 6th will play games at at Mayde Creek and grades 7th and 8th will play games at Katy Junior High. 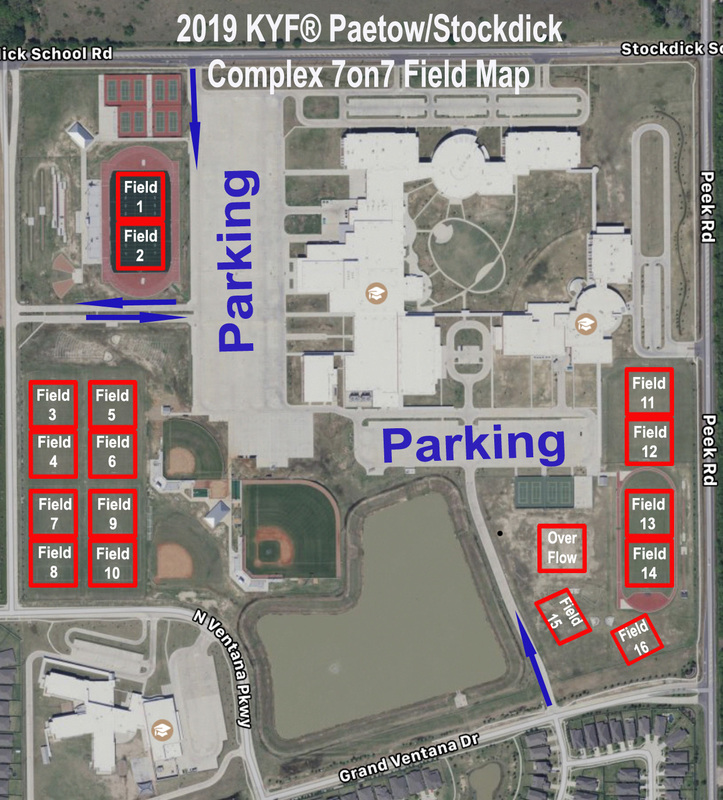 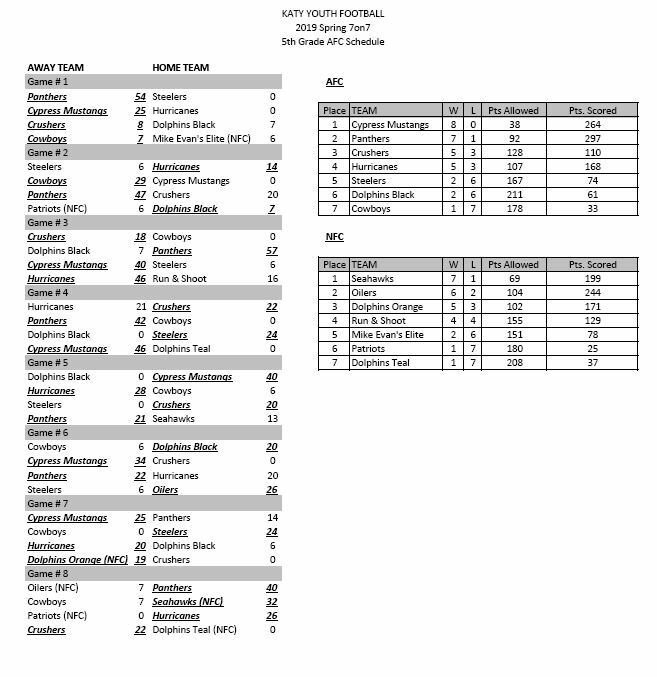 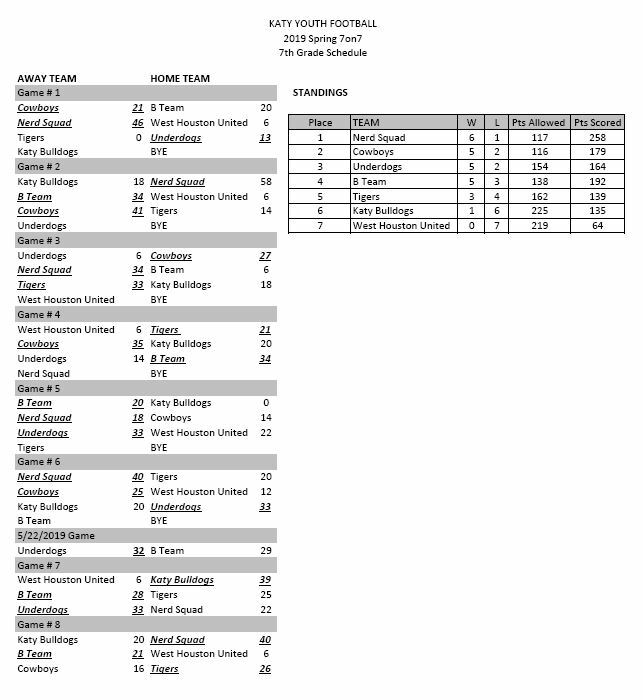 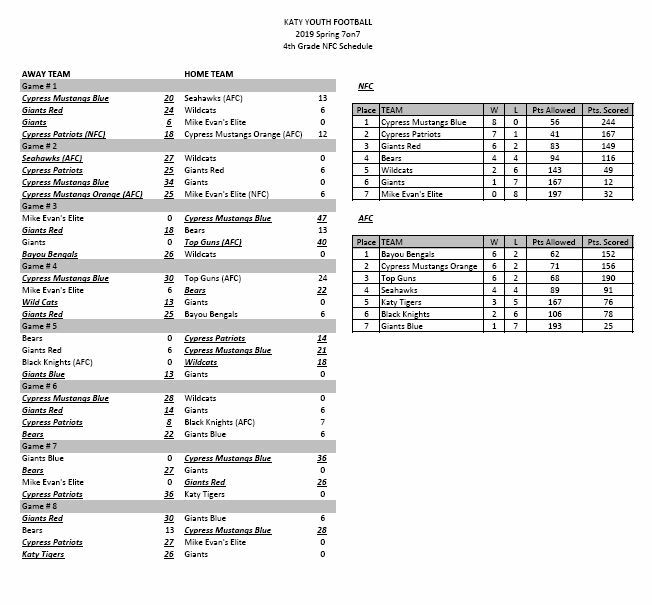 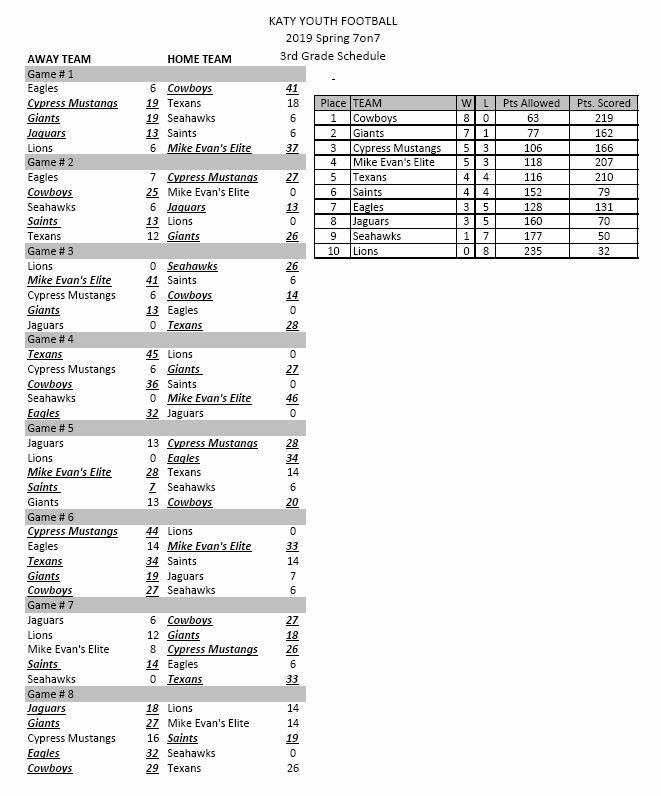 See below to reference the field map of each facility, in advance to find your field.